ICI Magnum Series Rear Bumpers are the most stylish and smartly-designed steel replacement bumpers on the market! Offering all the features to keep you OEM compliant, Magnum is one of the few brands of rear replacement bumpers that are compatible with OEM back-up and cross-traffic sensors. 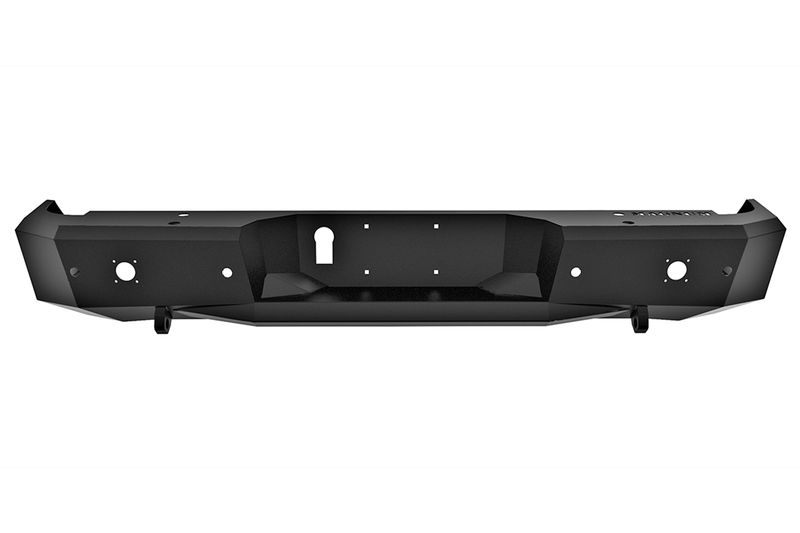 Magnum Rear Bumpers are also compatible with the receiver hitch, exhaust, and come with a complimentary, super-bright LED license plate light. Magnum Bumpers, by ICI, have a powder coat finish that comes with a one year warranty from the original purchase date. Chips or damage from stones or impacts of any kind is not covered by the finish warranty. This Coating Warranty does not apply if the bumper has been installed improperly where the bumper is rubbing any part of truck (i.e. grille, fenders, head lights, etc. ), the vibrations will cause coating failure. Fading or discoloration due to normal UV exposure is not covered under this warranty. All warranty claims should begin with an email to our customer service department at warranty@icionline.com. Photographs of the potential warranty must be sent with a brief description of the problem. Original purchase date and the Authorized Magnum Bumper dealer must be included in this warranty claim. You will be contacted by our customer service department in a reasonable amount of time to review your claim and discover any additional information. It is ICI sole discretion to determine if the Product shall be replaced or repaired. All Product warranties or repairs from ICI do not include the freight or shipping in any way. Freight will be the responsibility of the customer. Labor is never included in any warranty claim.